Polydopamine (PDA) has a promising application as coating of biomaterials due to its favorable degradability and bioadaptability. 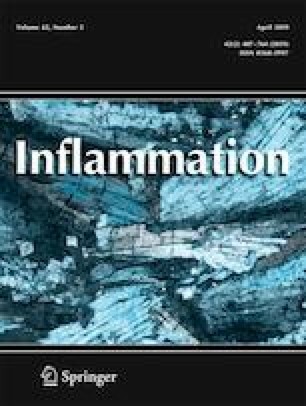 However, its bioactivity, such as anti-inflammatory capacity, was still little known. Herein, we investigated whether degradable products of PDA could affect inflammatory response in lipopolysaccharide (LPS)-stimulated human THP-1-derived macrophages. The supernatants containing degradation products of PDA, annotated as PDA extracts, were collected after PDA being immersed in cell culture medium for 3 days. Wherein, the composition of the degradation products was analyzed by HPLC assay. Collected PDA extracts were diluted into 100%, 50%, and 25% of original concentration, respectively, to evaluate their anti-inflammatory ability on LPS-induced macrophages from the expression levels of pro-inflammatory cytokines to associated molecular mechanism. Our results showed that the PDA extracts were mainly composed of dopamine, quinine, and PDA segments. Furthermore, macrophages showed no cytotoxicity after PDA extract treatment with or without LPS, while the release levels of TNF-α and IL-6 by LPS-induced macrophages were decreased in dose-dependent by PDA extract treatment. Additionally, TLR-4 and MYD88 expression in protein and RNA level were downregulated by PDA extracts in LPS-induced macrophages. Similarly, PDA extracts effectively inhibited LPS-induced NF-κB trans-locating into nuclear by inactivation of the phosphorylation of IKK-α/β and IKβ-α. Of note, the production of LPS-induced ROS was reduced by PDA extracts in macrophages, while HO-1 expression, a critical protein of antioxidant signaling pathway, was increased. Based on these results, we proposed a potential mechanism by which degradation products of PDA suppressed inflammation of macrophages via downregulation TLR-4-MYD88-NFκB pathway and simultaneous activation HO-1 pathway, which might be a possible therapeutic target. Liang Jin and Feng Yuan contributed equally to this work. The online version of this article ( https://doi.org/10.1007/s10753-018-0923-3) contains supplementary material, which is available to authorized users. This research was supported by grants from the National Natural Science Foundation of China (81571605, 51501115, and 51571143) and medical-engineering cross fund of Shanghai Jiaotong University, China (YG2017QN34).